"If we start the game like we did against Tunisia, with all that high-energy pressing and running, we could blow them away in the first 25 minutes." 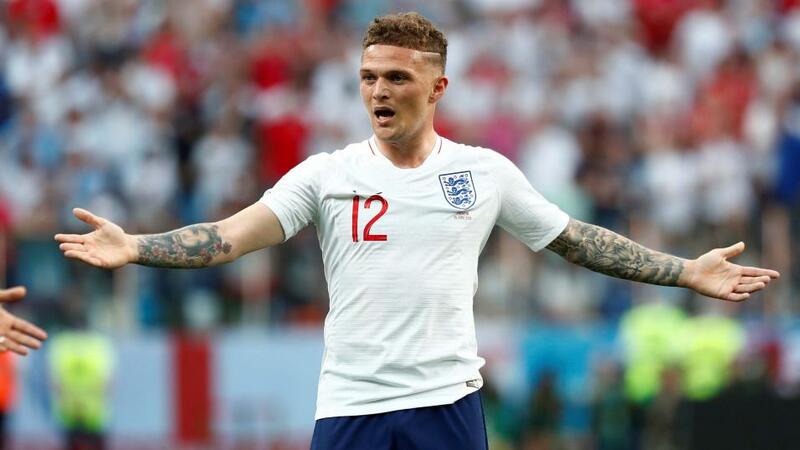 England fans may be disappointed by the Belgium defeat but we have to put that to one side and focus on the team because I think the Three Lions will be happy with where they're at right now. I certainly am. Yes, we lost our first game at the 2018 World Cup but Gareth Southgate had to give a few unused players a start last night and you have to look at the benefits to England from the result - an extra day of rest, a place in the 'easier' half of the draw and valuable game time for some members of the group. This is a squad game and if we get to the quarters, semis or wherever he is going to have to use a few players. We can't get there using 11 or 12 players. Gareth gave the rest of the squad some valuable minutes and hopefully they'll play a big part in the tournament going forward. It's clearly a bonus to be away from all those dangers in the other half of the draw and although Japan may have been the easier last 16 tie, England won't fear Colombia. It reminds me a bit of 2002 when we got Denmark in the last 16. We were happy because we thought it was a good opportunity to get through and we blew them away, winning 3-0. That was probably one of our best performances of that tournament alongside beating Argentina in the group stage. But it's that extra day of rest that is the most important thing. Fatigue plays a massive part in these tournaments. I've been there myself, and once you're in the knockout stages the ante is upped with everything. It's a hard place to be physically and mentally and the extra time off to prepare and rest is a big advantage. 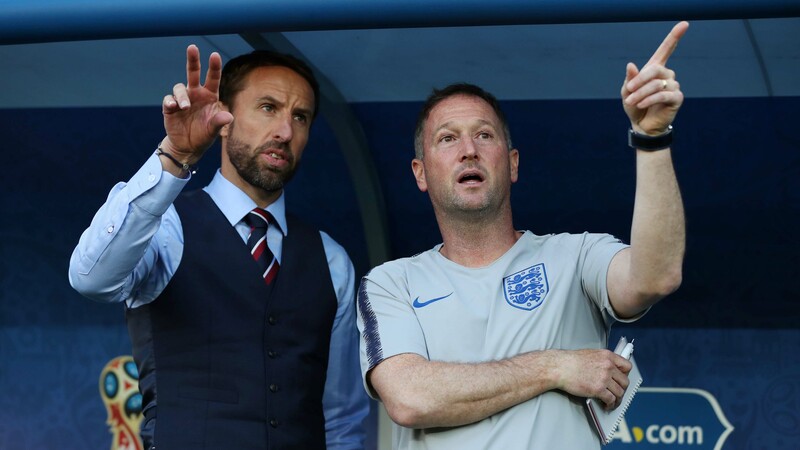 Can Southgate and assistant Steve Holland guide England into the quarter-finals? Gareth made so many changes that when he brings the expected first-team back - and I didn't see anyone stake a strong claim to a start against Colombia - they won't suffer any scarring from the Belgium result. If he'd played the same team as the first two group games with maybe one or two changes that could have carried over. And you know what? It was a difficult game to play, with nothing really riding on it, and neither team going full throttle to win the game either so it was hard to make an impact. Questions have been asked about Raheem Sterling's place in the first XI and I suspect we'll see the Man City man back in the side with Southgate keen to see some of Sterling's City magic in the England shirt. But if it was me picking the team I would have Dele Alli up there with Harry Kane. It's simple really, Dele scores goals! He doesn't have the pace of Marcus Rashford or Sterling but brings other elements to the team. His relationship with Harry Kane is so important to Spurs - imagine if they could replicate for England. Kane and Alli have a great understanding built up over a couple of seasons. That could be massive in this competition when the margins are so fine. But I think Alli will probably have to settle for a midfield berth, with Ruben Loftus-Cheek dropping back to the bench. Ruben's done well but he hasn't been a big goal threat and he could be another one to make an impression off the bench, like Rashford. Like I said, it was tough for Rashford against Belgium and maybe the impact sub role suits him at the moment. As a defender I wouldn't want to see him coming on when I'm feeling a bit leggy because that pace makes him a serious danger. It would have maybe been a risk to play Kane last night. He will be fresh and ready for Tuesday night, will have some extra energy that we perhaps didn't expect him to have and that bodes well for England. Kane will unnerve Colombia's young centreback pairing. Defensively I am worried for them. Tottenham's Davinson Sanchez hasn't looked that comfortable at this World Cup and he will know first-hand the sort of damage Kane can do. Don't get me wrong, I'm not underestimating Colombia. They do have very good attacking players in Falcao, Quintero and James Rodriguez, if fit, and they are a threat but I think England will have too much for them. If we start the game like we did against Tunisia, with all that high-energy pressing and running, we could blow them away in the first 25 minutes. I see England coming out 2-1 winners and I fancy Kane to score both of those goals. I don't remember the last 16 fixtures in 2002 and 2006 being particularly nervy and I hope our boys repeat what we did in my first one, by just playing the game and not the occasion. Undeniably talented in attack, are Colombia's weaknesses at the other end of the pitch? Senegal's exit means no African team made it through to the knockout rounds and I'm gutted about that! The African fans bring a great energy to the tournament - Nigeria, Senegal - those fans are crazy! So why did no African side make it to the last 16? For me it's mainly a little bit of bad luck, a bit of youthful inexperience and some hard opposition. Nigeria and Senegal were in tough groups, and so were Morocco, while probably only Egypt and Tunisia underperformed or performed to the level that they're at perhaps. I think we thought more of Egypt because of Mo Salah. A few people have knocked FIFA for Senegal's elimination purely for racking up more yellows than Japan but I don't see how else you could split the two sides. We can't be playing another 90 minutes or have a penalty shootout so this was the fairest way for me. I said in my last column that I didn't see Germany going on to win the World Cup and I wasn't shocked by that performance against South Korea. Each game was as bad as the other in this tournament for the Germans. Defensively they were a shambles against South Korea and just didn't have the organisation you expect from a German team. My idea of the tournament winners now would be Spain. They keep the ball and that helps them control the game, they have loads of experience, and are getting the ball into Diego Costa better than previously. The obvious danger is Croatia, because they look capable of beating anyone. That could be a really interesting game if they meet in the quarters, but let's enjoy the last 16 matches first!